"MY VEHICLE" then "ON-BOARD COMPUTER" then "TRIP COMPUT". After this one It should be "TYRE PRESSURE". 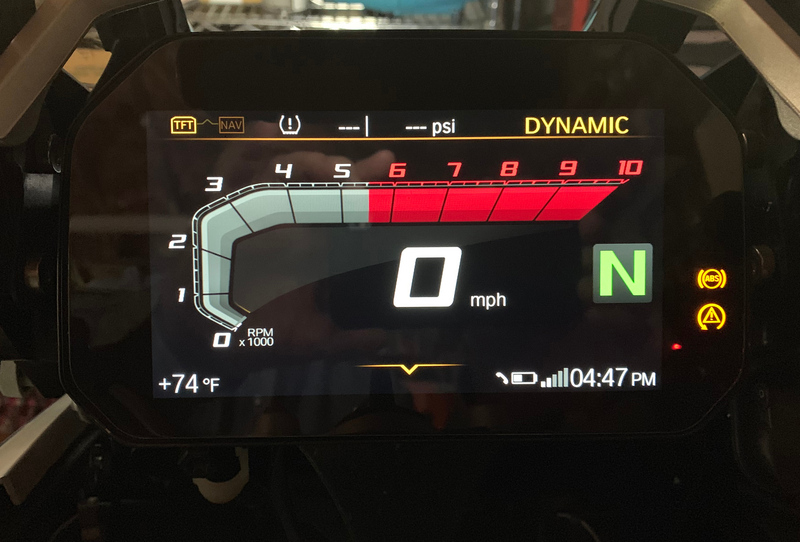 On my GSA, I can enter the TFT menu, go to My Vehicle and the tire pressure is on that screen. Yes that's correct, but when you are on "my vehicle" just use the wheel to the right.. do you have "tyre pressure" menu afterwards? No. It goes to "Onboard Computer." Yes correct and what's next after that? And after that again? I have a Rallye built in February 2018 with a 001-115-060. Looking through the forum I see bikes built later in August and November with 001-115-040. Another 2018 Rallye has 001-015-090 and a new one has 001-019-180. Not sure what is going on with the progressive order of updates. Trip Computer, then Tire Pressure.